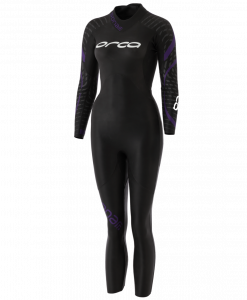 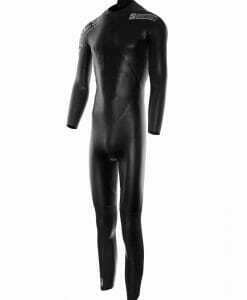 Orca’s Predator women’s wetsuit is the perfect choice for a swimmer searching for the ultimate in swim assistance. 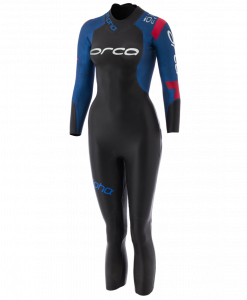 2018’s model has extended the 0.88mm thick Free Material to include not only the sleeves and underarms, but also the upper back. 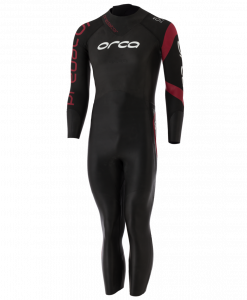 There is total freedom throughout every phase of your stoke, making it feel like you aren’t even wearing a wetsuit. 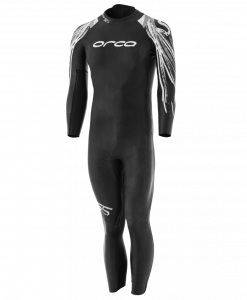 A Titanium coating provides thermal protection while the extreme thinness of the sleeve provides unrivaled forearm water feedback as you feel the water with each stroke. 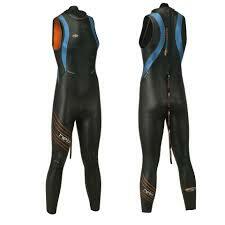 It is the ultimate weapon for speed in the water. 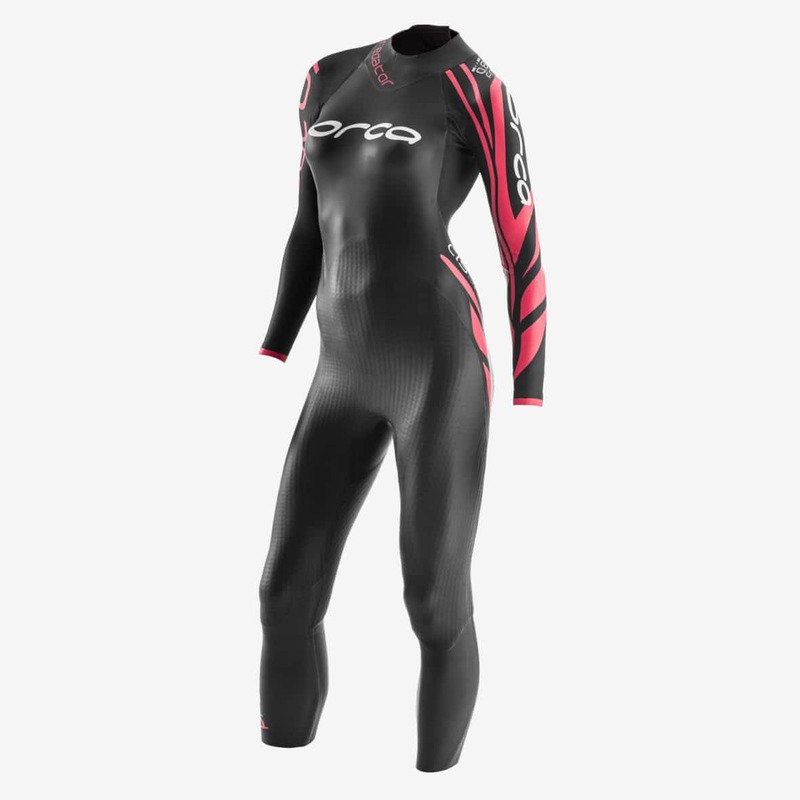 The CLS (Core Lateral Stabilizer ) uses a unique sandwiching of Exo-Lift technology and the super buoyant Aerodome on the lower front and back of the suit provides the ultimate lift where it’s most needed. These panels have no lining and so they don’t absorb water, thereby allowing for an unchanging, constant level of buoyancy no matter how long you’ve been in the water. 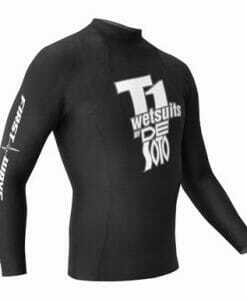 A less flexible material is utilized on the core panels to stabilize the body. 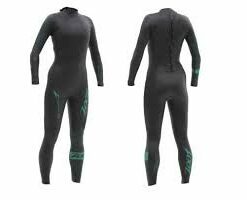 The suit feels stiff but once you get into the water it gives the feeling of swimming on a surfboard, improving body positioning and by default speed. 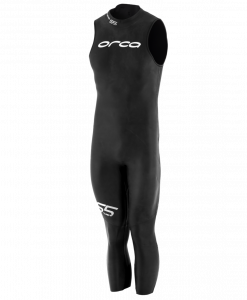 Aerodome provides 30% more buoyancy than normal 5mm neoprene, placed strategically around the heaviest parts of the body.